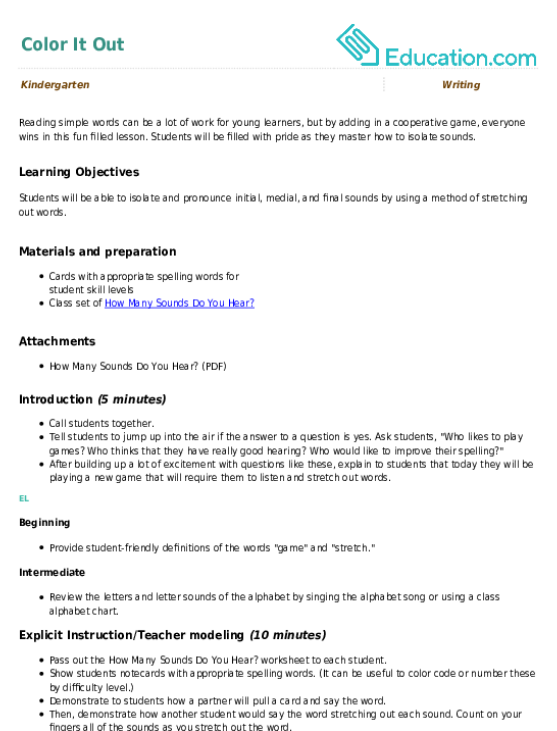 Do you need extra help for EL students? 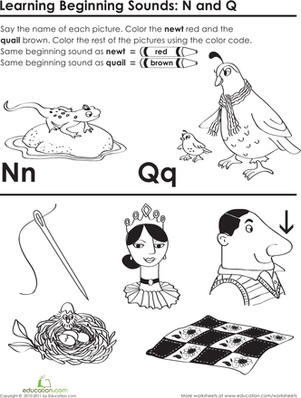 Try the Phonological Awareness pre-lesson. At the conclusion of this lesson, students will be able to isolate and pronounce initial, medial, and final sounds by using a method of stretching out words. Tell students to jump up into the air if the answer to a question is yes. Ask students, "Who likes to play games? Who thinks that they have really good hearing? Who would like to improve their spelling?" After building up a lot of excitement with questions like these, explain to students that today they will be playing a new game that will require them to listen and stretch out words. Beginning: Provide student-friendly definitions of the words game and stretch. 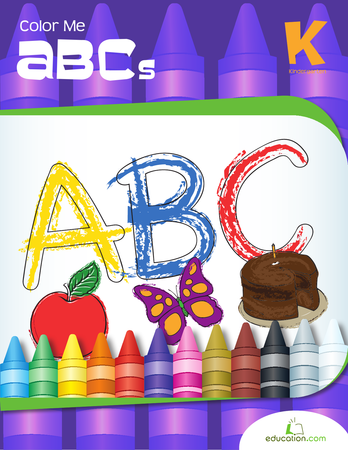 Intermediate: Review the letters and letter sounds of the alphabet by singing the alphabet song or using a class alphabet chart. Pass out the How Many Sounds Do You Hear? 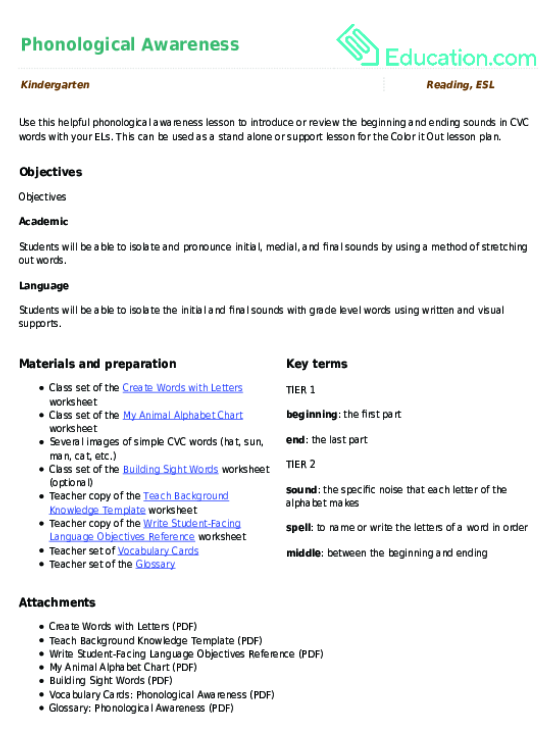 worksheet to each student. Demonstrate to students how a partner will pull a card and say the word. Then, demonstrate how another student would say the word stretching out each sound. Count on your fingers all of the sounds as you stretch out the word. Say the word stretched out again and have students recognize what letters correspond with those sounds. Demonstrate how to write the word on the worksheet and color in the appropriate number of rays. Repeat this process a couple more times until students seem familiar with it. Beginning: Provide visual images rather than written words for the demonstration. 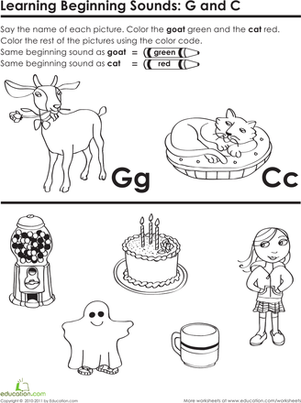 Intermediate: Model how to use the classroom alphabet chart to find the corresponding letter for each sound. Ask for another student volunteer. Have that student draw a card and say the word to the class. The student volunteer can call on another student to stretch out the word. The class should determine how many sounds they hear and try to spell the word. The student volunteer should demonstrate writing the word and filling in the appropriate number of rays on the worksheet. If necessary, this can be repeated again with different student volunteers until students understand the process. Before breaking the class up into partners or small groups to continue playing the game and working on their worksheets, ask if there are any questions. Make sure to review any expectations and rules for independent work time. Beginning: Pair students together and draw a new word card (containing a visual in addition to the letters), and have the students practice saying the sounds of each letter together. Intermediate: Have the class repeat the beginning, middle, and ending sounds as a group using additional cards to practice. Working as partners or in small groups, students should take turns pulling cards, saying the words out loud for one another, and filling in their worksheets. Any adults in the room should be circulating, monitoring behavior, and answering questions. If it becomes evident that students are struggling with certain words or the activity as a whole, this is a good time to correct key misconceptions and provide supporting materials. Beginning: As needed, work with a smaller group of students to play the game together. Intermediate: * Pair students strategically to support one another during the partner work time. Support: For students in need of extra assistance, providing mixed ability groupings can help scaffold this activity. Additionally, setting up specific quiet areas to play the game can help students focus on hearing the sounds and not be distracted. This can be particularly useful for students with attention and sensory issues. Enrichment: For students who need a greater challenge, increasing the number of phonemes in the words will add to the difficulty of the activity. Students can also be further challenged by including words where there are silent letters or letters that make different sounds than normal. By observing students during group discussion and independent working periods, an informal assessment can be done. Adults should look to see that students are actively engaged and participating in the activity. A more formal assessment can be done by checking student worksheets for accuracy. Are students able to correctly identify the number of sounds in given words? For another form of assessment, more words can be assigned as homework. Adults should look to see that students are able to correctly identify the number of sounds of words when working independently. 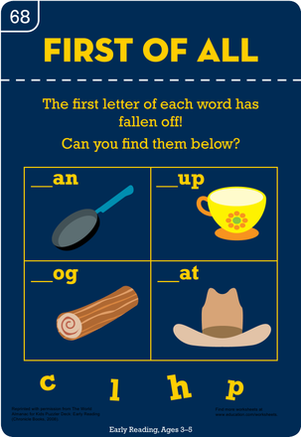 Beginning: Take note of struggling students and/or challenging letter sounds. Use these notes in the review and closing to provide further practice. Intermediate: As you informally assess students, take note of which students are ready for additional challenge. 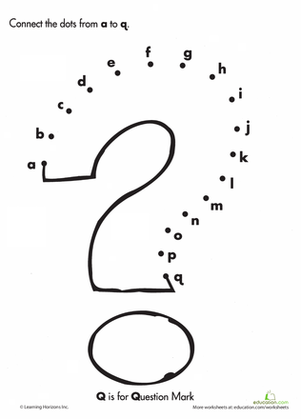 Ask students to share the words they drew and the number of sounds they heard. Does everyone agree with that number of sounds? Were any words particularly tricky or difficult? (Take time to pause and go over these as a whole class.) Do students have any other questions about stretching out sounds? Remind students that one way to spell words they may be unfamiliar with is to stretch out the words and listen to every sound. This is an important skill in reading and writing unfamiliar words, so the more they practice, the better! Explain to students that the supplies for this game will continue to be available so that they can continue to play it in the future when they have time. Beginning: Review any challenging letter sounds during the closing portion of the lesson. Intermediate: Practice blending the letter sounds together in additional words. 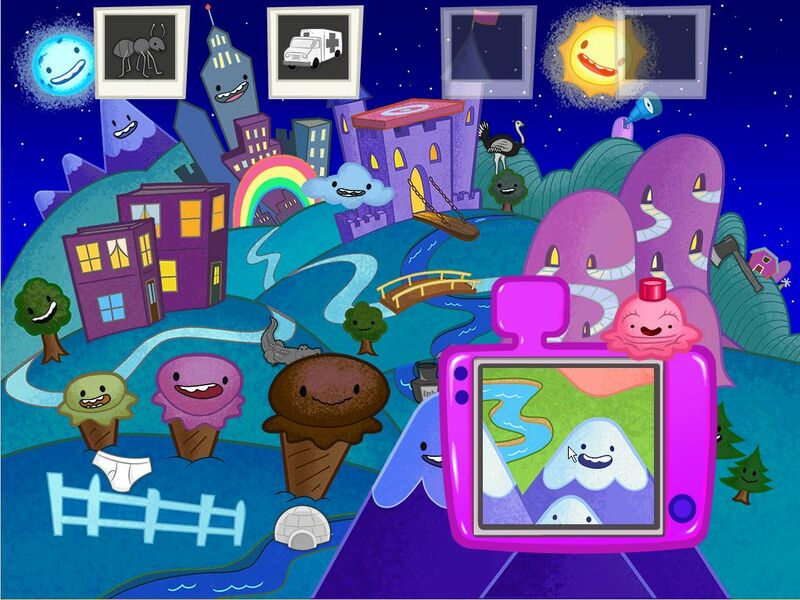 This can be used as a stand alone or support lesson for the Color it Out lesson plan. Use this helpful segmenting and blending worksheet to practice reading common CVC words with your kindergarten students. 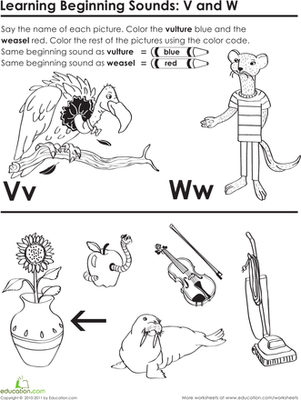 Kids decide whether words have the same beginning sound as goat or cat, then color the pictures to match.